Reviews the implementation of a schoolwide reform model that offers teachers incentives to improve student achievement and classroom performance. Examines its impact on student test scores and on teacher retention within schools. 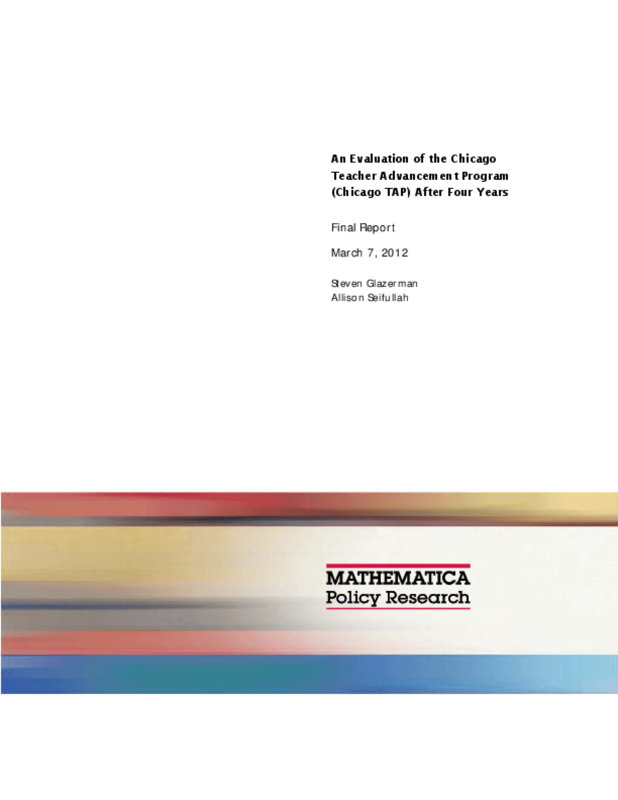 Copyright 2012 Mathematica Policy Research, Inc..